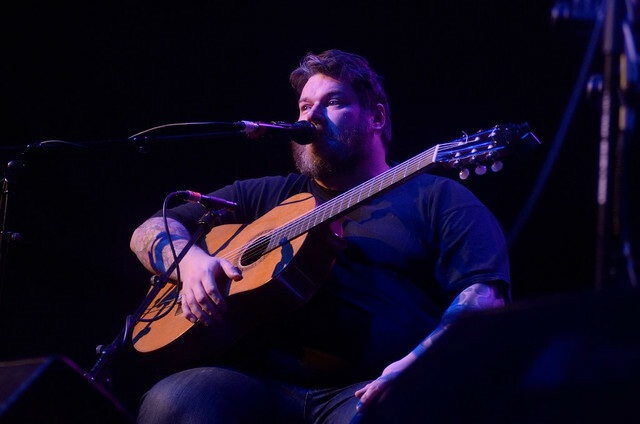 is this music?» gig reviews Gig review: RM Hubbert / Aidan Moffat - Celtic Connections @ Glasgow Old Fruitmarket - is this music? 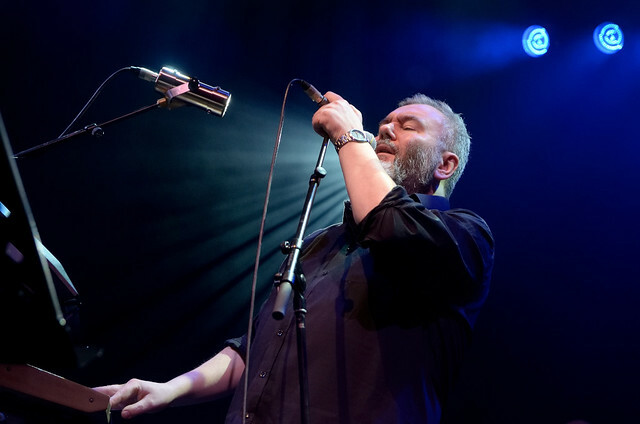 So this was the deadly duo’s biggest headline gig yet – and in true Celtic Connections style it was at the Old Fruit with the dreaded ‘cabaret style’ seating, an arrangement which BM feared might kill the gig stone dead, but happily it didn’t. Appearing as a four-piece, with Hubby on guitar/vocals, Aidan on vocals/wee machine, the inestimable Jenny Reeve on fiddle/vocals and ‘Jeansie’ on drums. They played most of their amazing album ‘Here Lies The Body’, which should be heard and played in every home in Scotland and beyond. BM reviewed the Christmas album launch back in December and hasn’t got a great deal more to add. Apart from screwing up ‘She Runs’ (technical gremlins) this was a well-balanced set which included highlights ‘Party On’, ‘Mz Locum’ and ‘Cockcrow’, tales of middle-aged longing and regret. 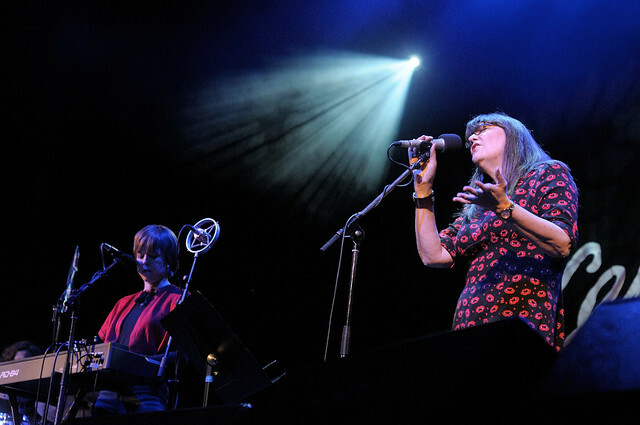 The encore included two covers, ‘Only You’ by Yazoo (a great version), a song about Hitler (which BM will have to look up), and the classic ‘Car Song’, one of the duo’s first collaborations. So all in all a very successful gig – and they might even get asked back!